Garage Door Wrap - Alan's Tires - Philadelphia Vehicle Wraps - Apple Graphics Inc.
We worked on a really unique project this week which was a Garage Door Wrap for Alan's tires in Philadelphia. 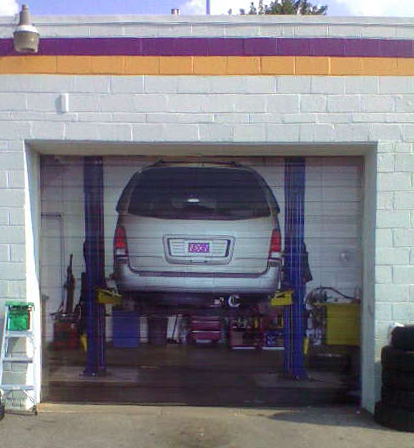 This wrap makes the closed garage door look like it is open and really adds to the uniqueness to their business. We always say "we can virtually wrap anything with a surface" and this was also the case. Wether it be Custom Wraps, Signs or Banners - Apple Graphics Inc can cater to any of your large format printing needs!